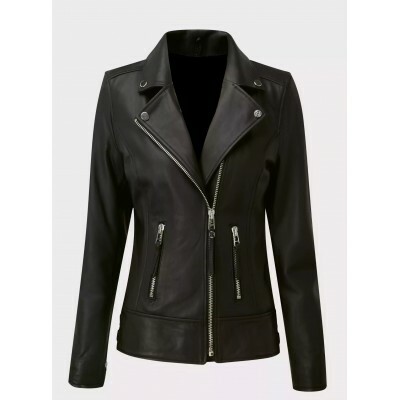 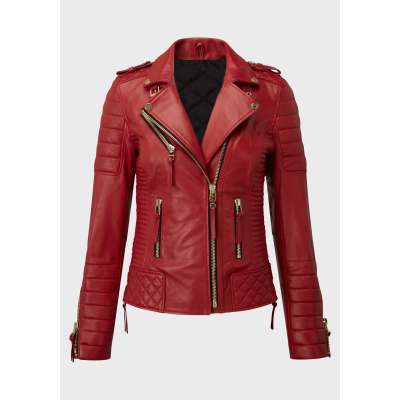 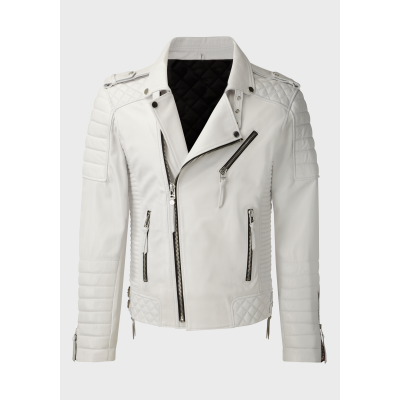 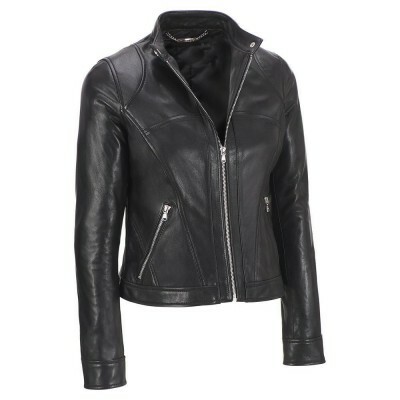 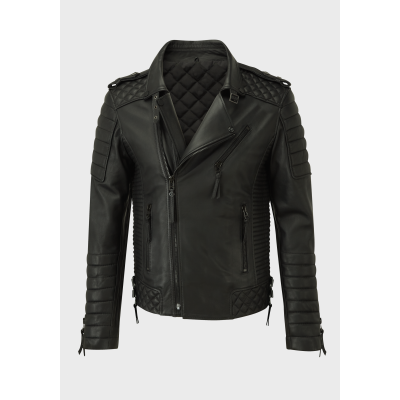 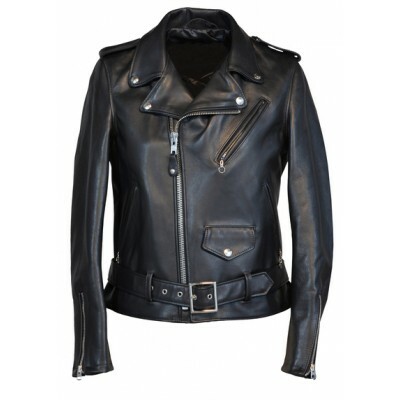 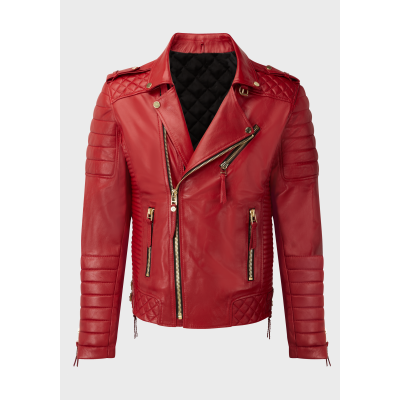 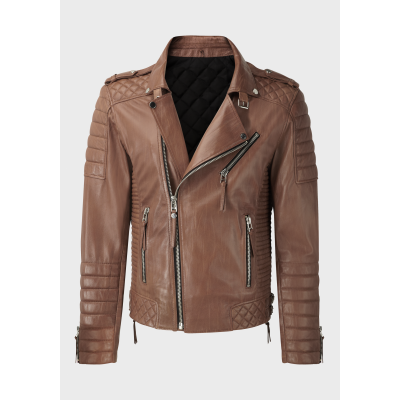 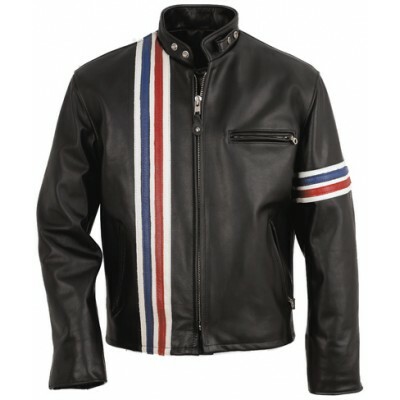 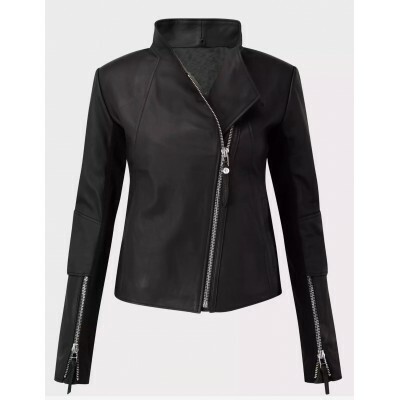 Ladies jacket made with the cowhide leather with 100 grams quilting lining attached with the 160gsm satin fabric with three pockets inside two for doc..
Ladies biker jacket made with the cowhide black leather with fashion belt on the bottom. 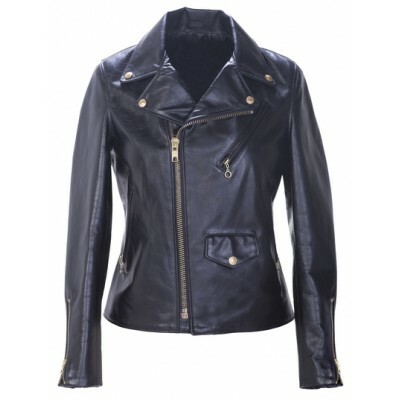 Jacket lined with 160gsm satin fabric with three pockets insi..
Ladies biker jacket made with the black cowhide leather with one flap pocket and 3 zipper pockets on the front and its lining made with the 160gsm sat..
Ladies jacket made with very high quality black sheep leather with biker style and soft padding on the shoulder. 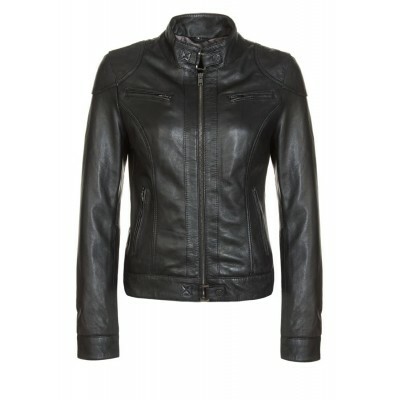 Jacket lined with the 160 gsm black s..
Material - 100% Premium Napa Sheepskin, full grain leather.Hardware - PlatinumLining - SatinPockets -2 outside (zipped), 2 inside pockets including an..
Material - 100% Premium Napa Sheepskin, full grain leather and stretch pannelingHardware - SilverLining - SatinPockets -2 outside (zipped), 2 inside p..
Material - 100% Premium Napa Sheepskin, full grain leatherHardware - GoldLining - SatinPockets - 2 outside (zipped), 2 inside pockets including an iPh..
Material - 100% Premium Napa Sheepskin, full grain leather, with a red flash on the left sleeve.Hardware - SilverLining - SatinPockets - 3 outside (zi..
Material - 100% Premium Napa Sheepskin, full grain leather, with a red flash on the left sleeve.Hardware - SilverLining - SatinPockets - 2 outside (zi..
Material - 100% Premium Napa Sheepskin, full grain leather, with a red flash on the left sleeve.Hardware - GoldLining - SatinPockets - 2 outside (zipp..
Material - 100% Premium Napa Sheepskin, full grain leather, with a red flash on the left sleeve.Hardware - BlackLining - SatinPockets - 2 outside (zip..
Mens US style jacket made with finest quality cowhide aniline leather and lined with the 160gsm satin fabric with three pockets inside two for documen..